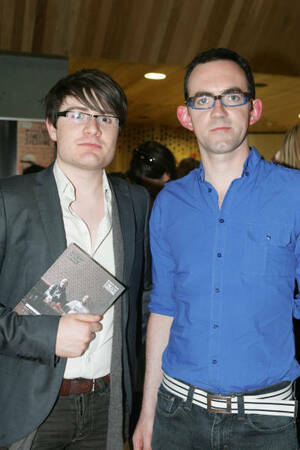 Lots of you have contacted us to identify the two hipsters who were at the theatre programme bash last night. They are Kieran O’Melia and Tom Creed and they basically rule. Posted in Music and tagged Hipsters at 12:39 pm on July 29, 2010 by John 'Preposterous' Ryan.